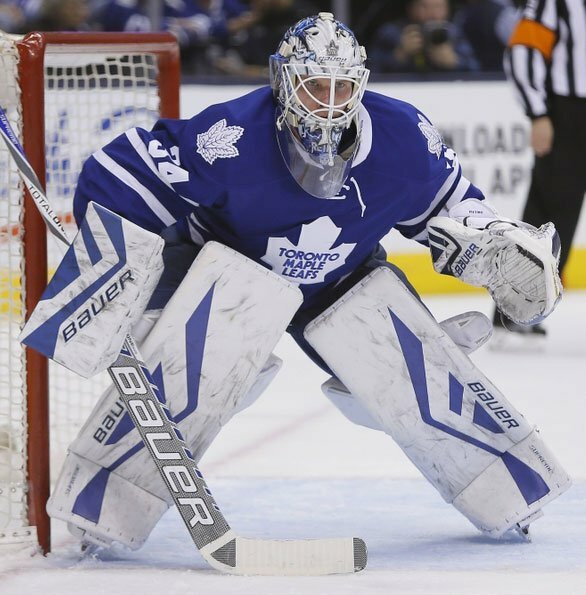 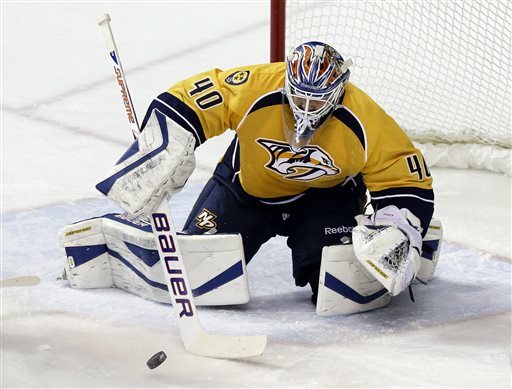 Here are a few examples of some NHL goalies using our products in game. 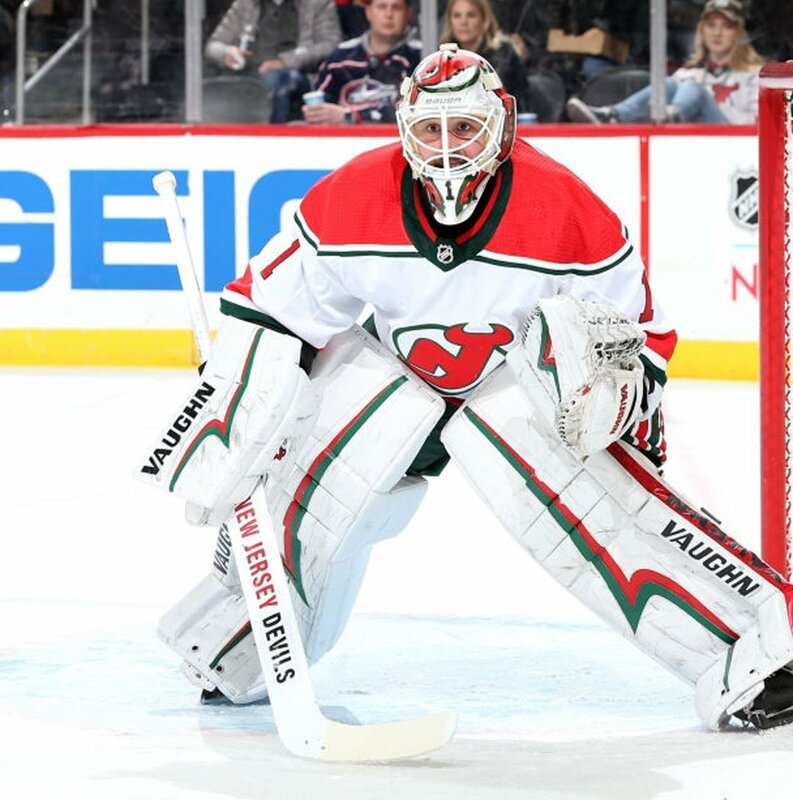 Please click and drag the arrow across each goalie to see the before and after. 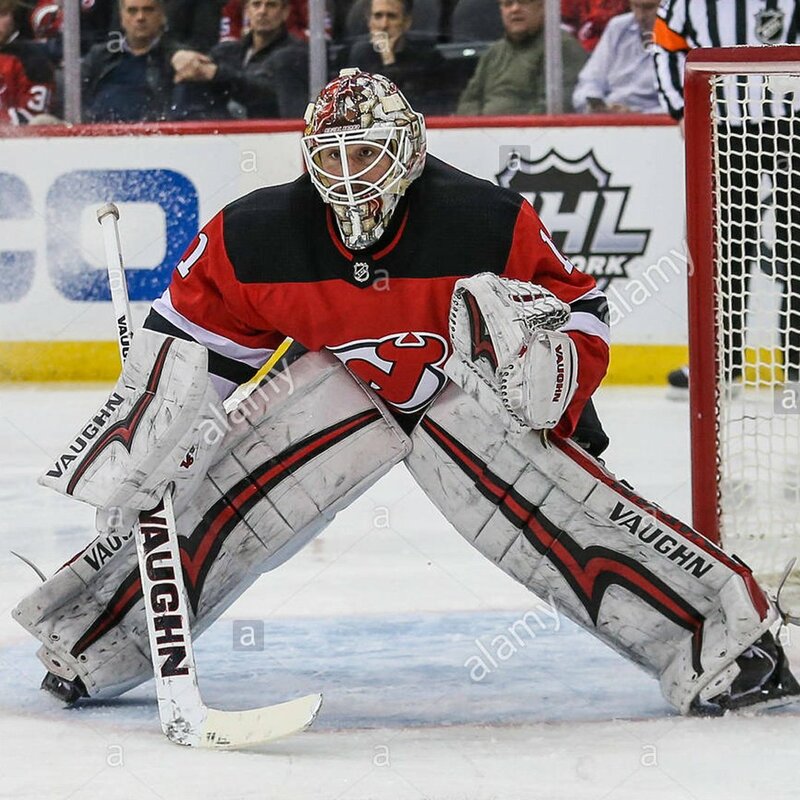 The legend! 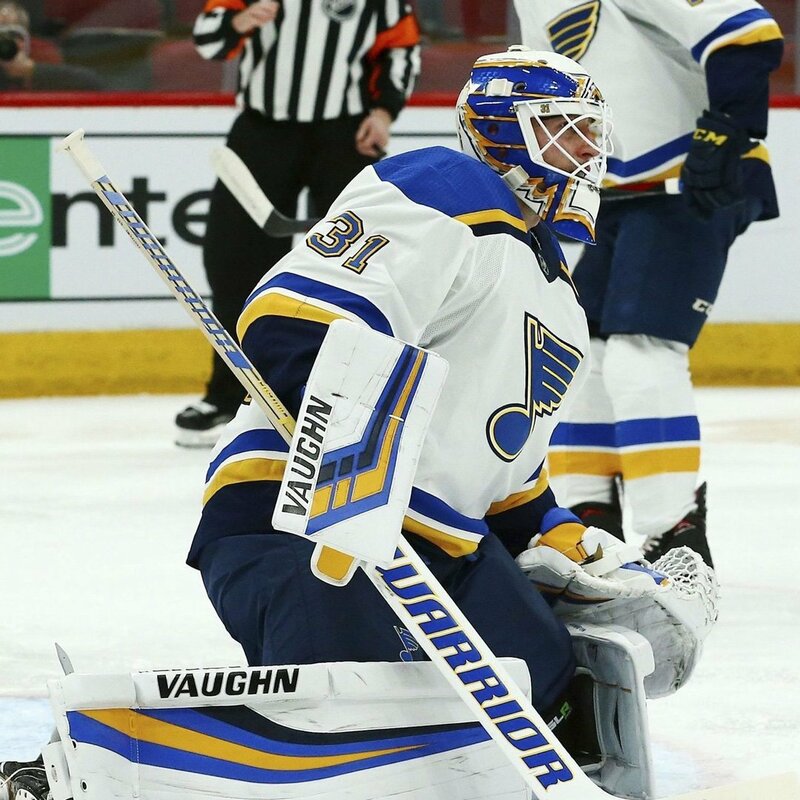 Marty Brodeur wearing Navy Blue PadSkinz and PantSkinz on his pads and gloves to cover the red after going to the St. Louis Blues from the New Jersey Devils. 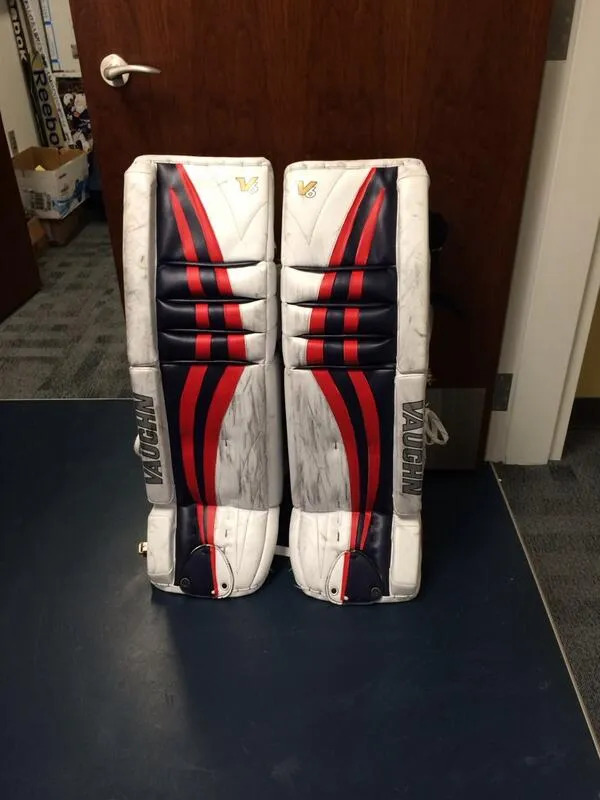 Ryan Millers pads from the 2014 season. 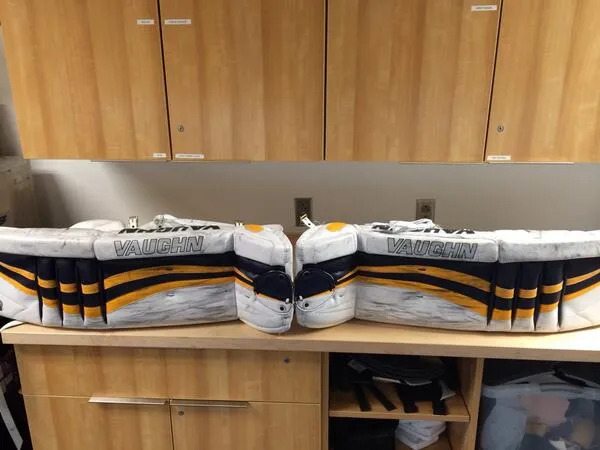 He wanted to used his Buffalo Sabres gear for the 2014 Sochi Olympics so the Sabres equipment manager put Red PadSkinz over the Sport Gold on his gear. 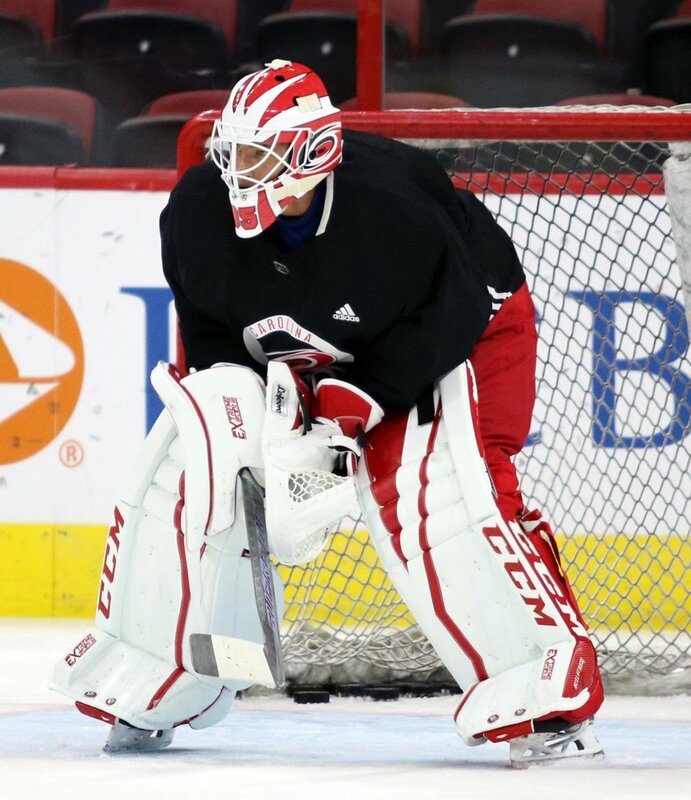 No one had any idea it was his Buffalo gear, except all of us! 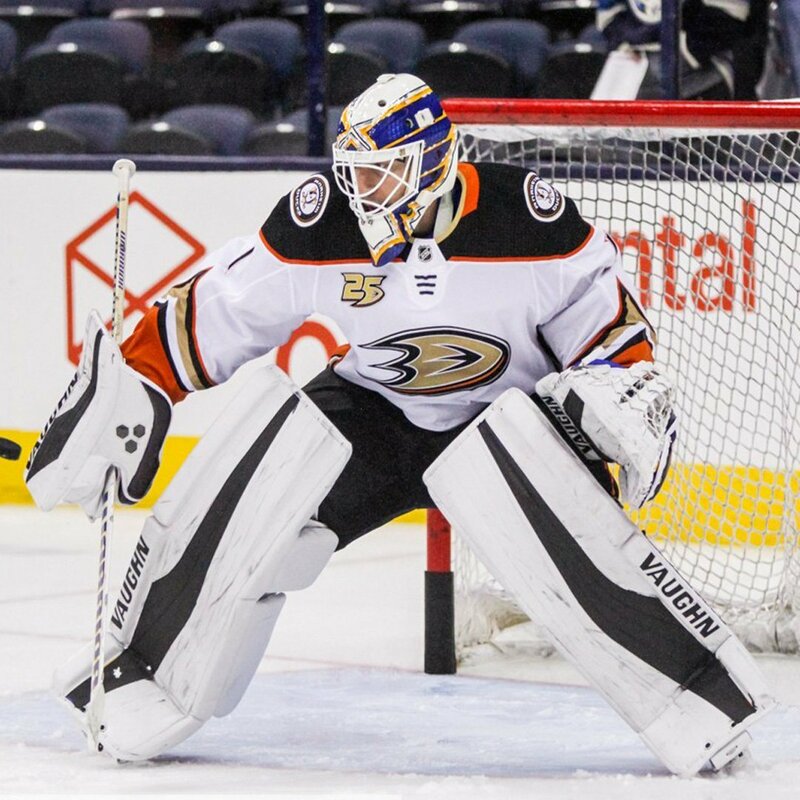 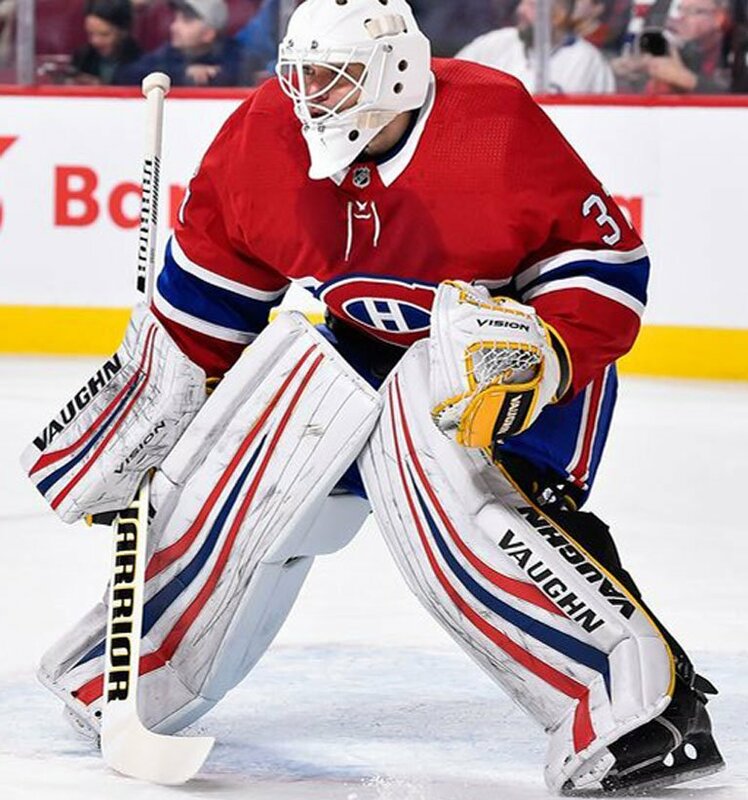 When Devan Dubnyk was acquired from the Edmonton Oilers by the Nashville Predators, they used PadSkinz to cover all of the orange on his gear! 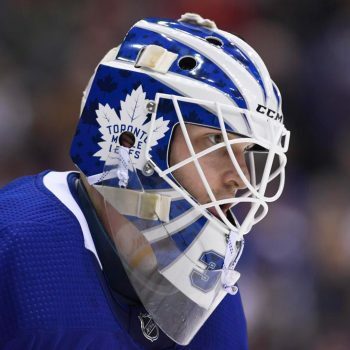 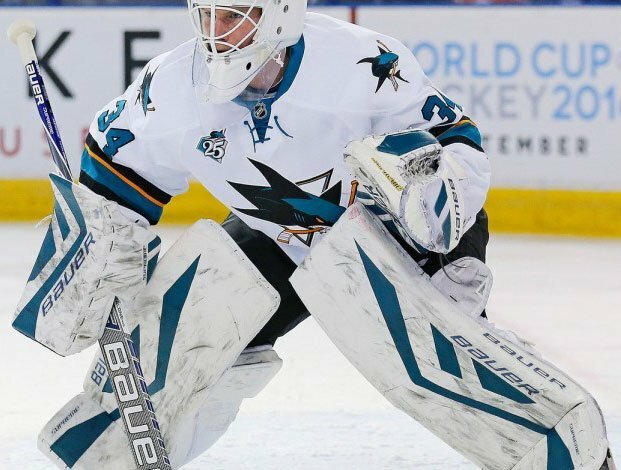 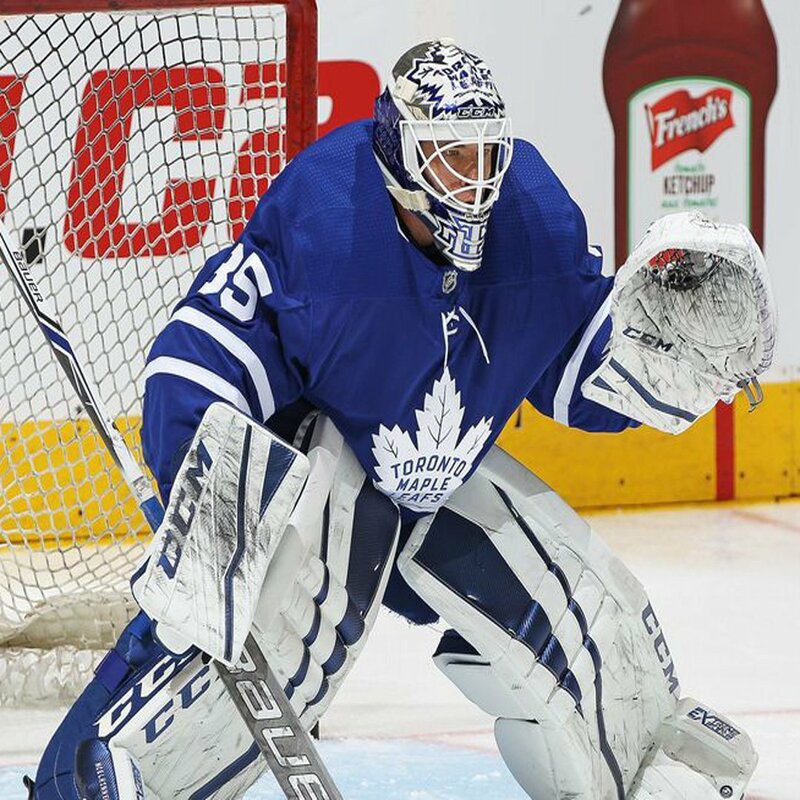 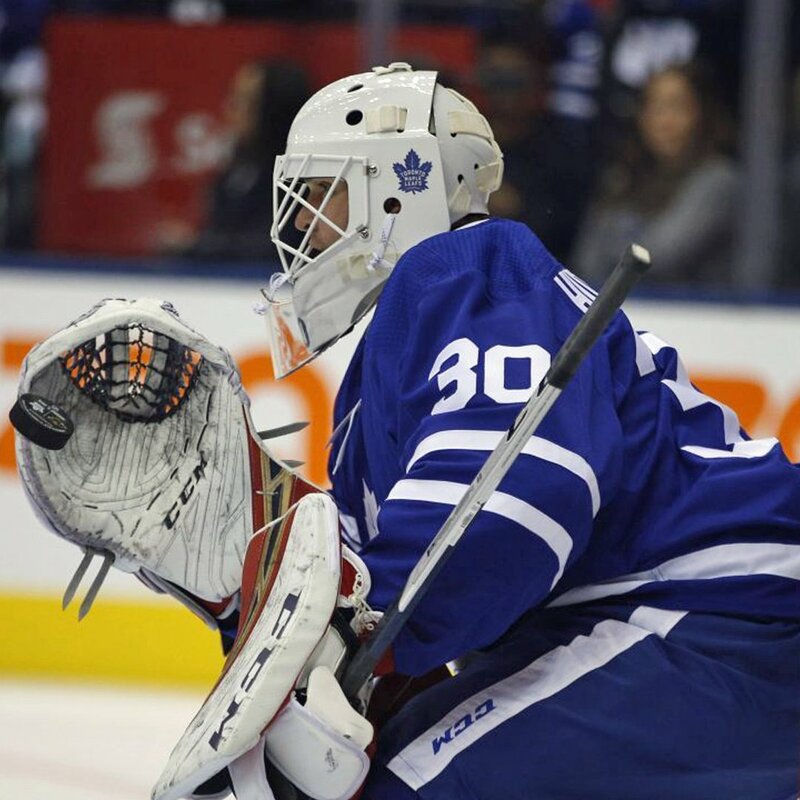 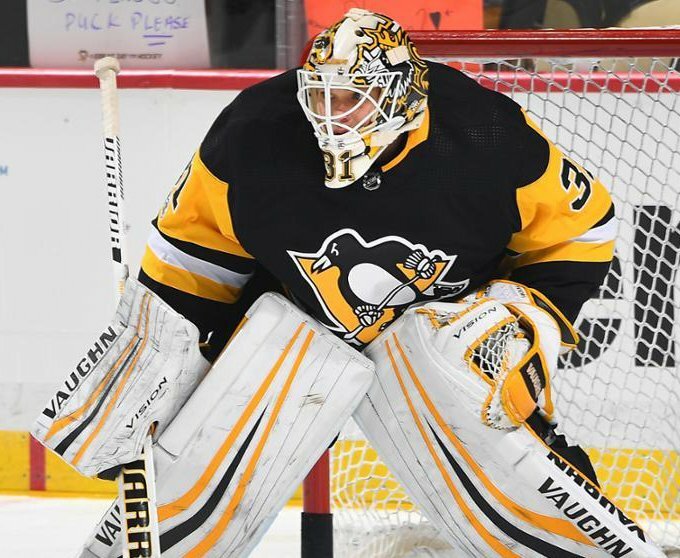 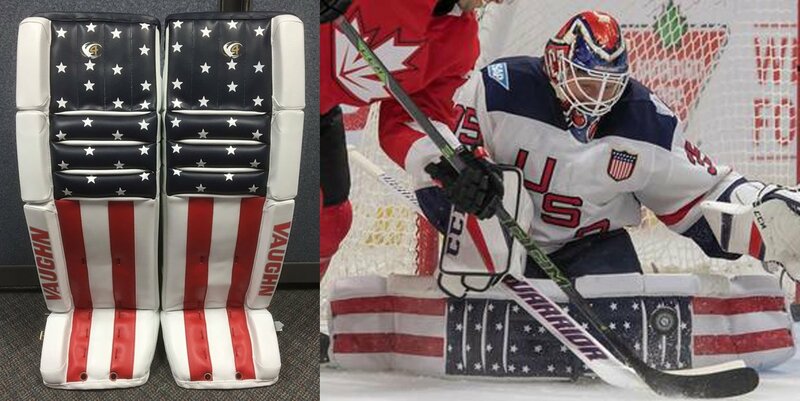 If you watched any of the 2016 World Cup of Hockey games in September in Toronto, you noticed that many goalies using Vaughn Goal Equipment didn’t have any of the company’s logos showing on their gear. 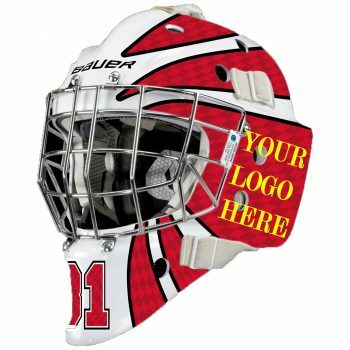 Several teams ordered PadSkinz (and all of our other products) for this tournament. 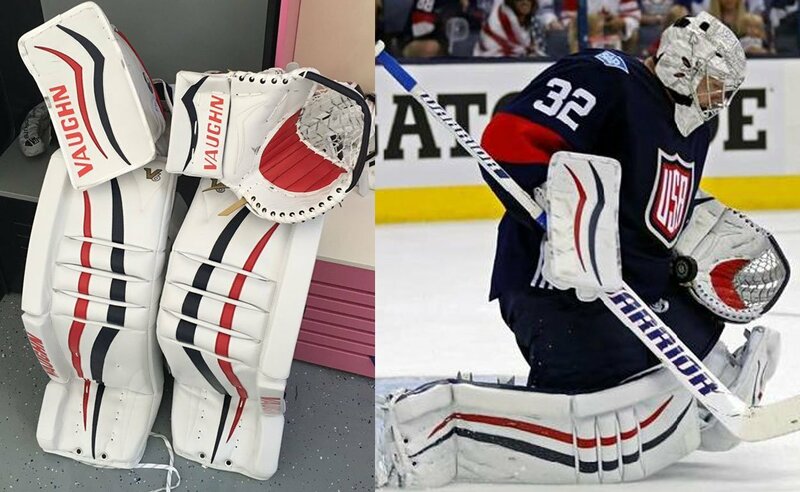 For example, as pictured above, Team USA is actively using it on Jonathan Quick and Corey Schneider’s gear. 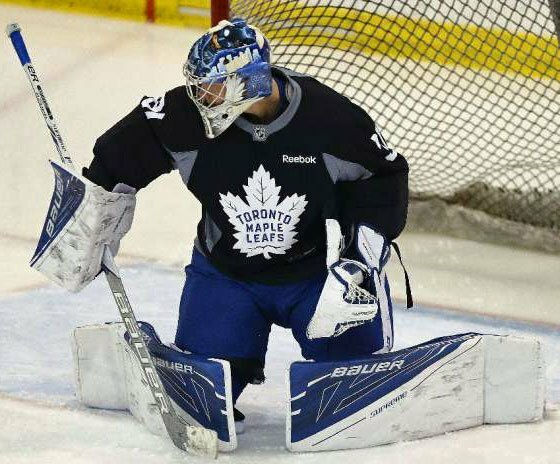 Of course, PadSkinz will be hard to see because they blend so well. 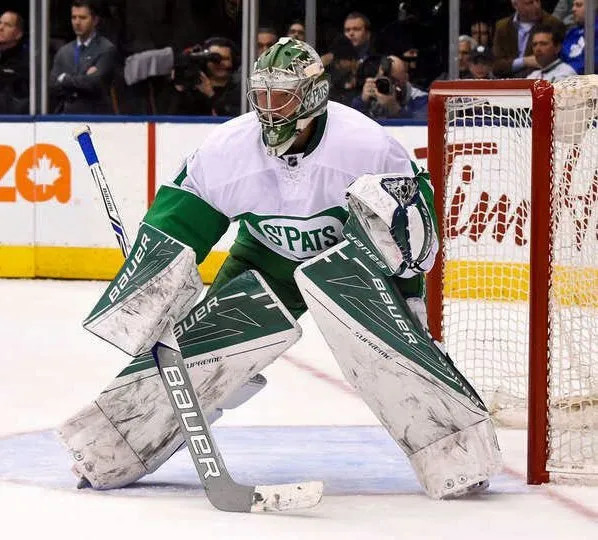 Many of these teams kept all of our products on hand during this tournament and used them in many different ways that we’ll never see such as on player gloves, pants and more. 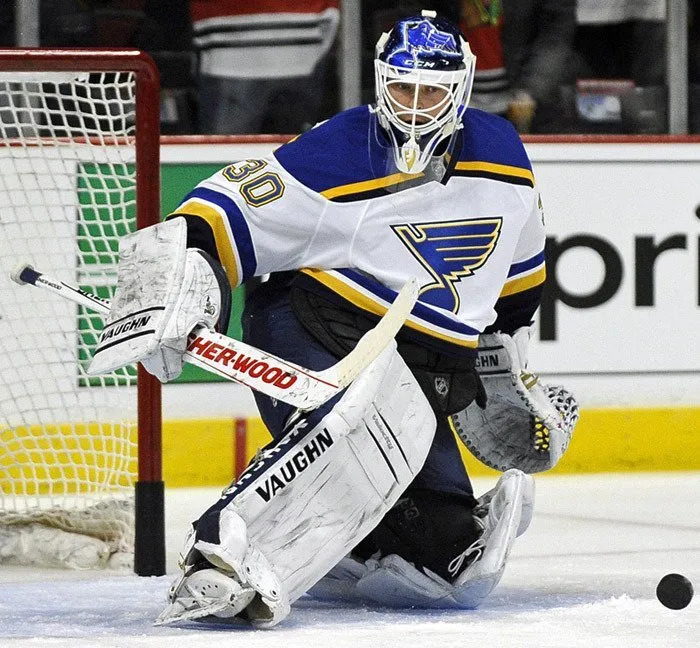 It’s a great testament to the high performance levels of our products! 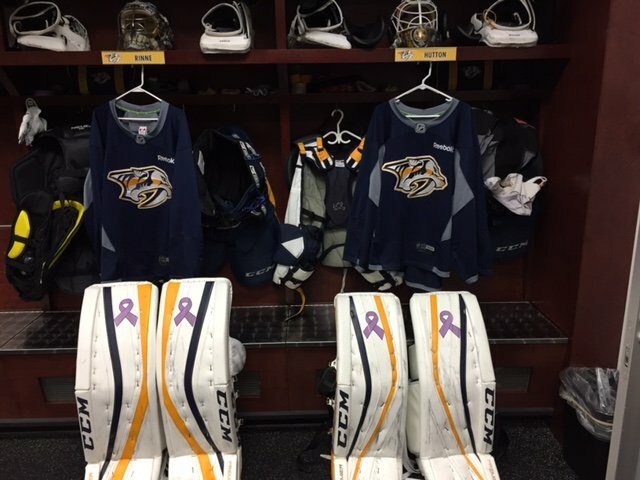 On the evening of Saturday Nov. 07, 2015, the Nashville Predators had their Hockey Fights Cancer game and featured our special Lavender coloured Cancer Support Ribbons. 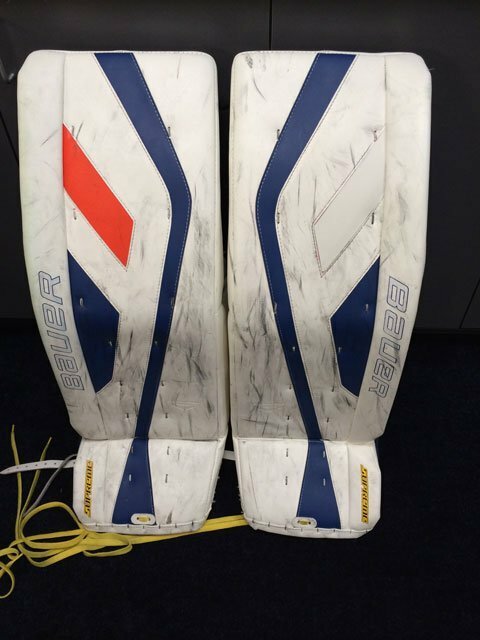 These were used on Pekka Rinne and Carter Hutton’s pads.